1. In a medium pot set over medium-low heat, melt together nut butter, honey, and Earth’s Finest Organic Extra Virgin Coconut Oil with Vanilla, stirring until smooth. 2. Remove from stove and stir in oats and coconut. Pour mixture into a 9- by 13-inch baking dish. 3. Spread into an even layer, sprinkle with mini chocolate chips (if using), and firmly press down with the back of a spatula or clean hands. 4. Refrigerate for 2 hours or until firm. Slice into squares or bars and remove from pan. 5. 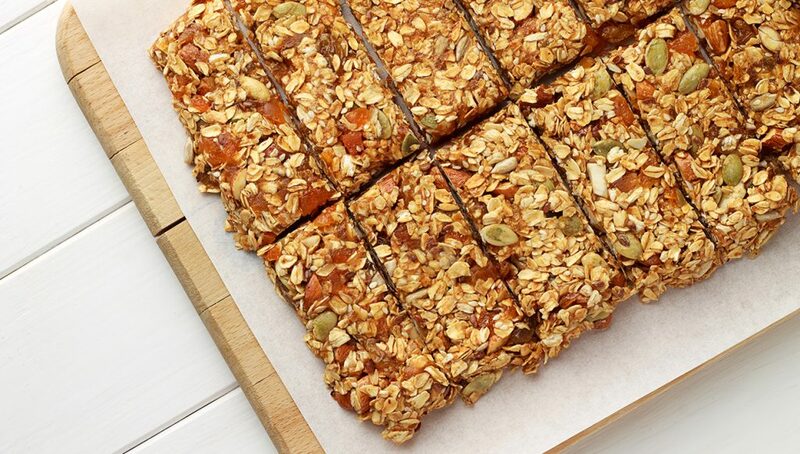 Store granola bars in the refrigerator, either in an airtight container with wax paper separating the layers, or individually wrapped in plastic wrap.